You can issue a partial refund on any transaction and the funds will be deducted from your Flipcause account balance to the card your supported used to make the transaction. 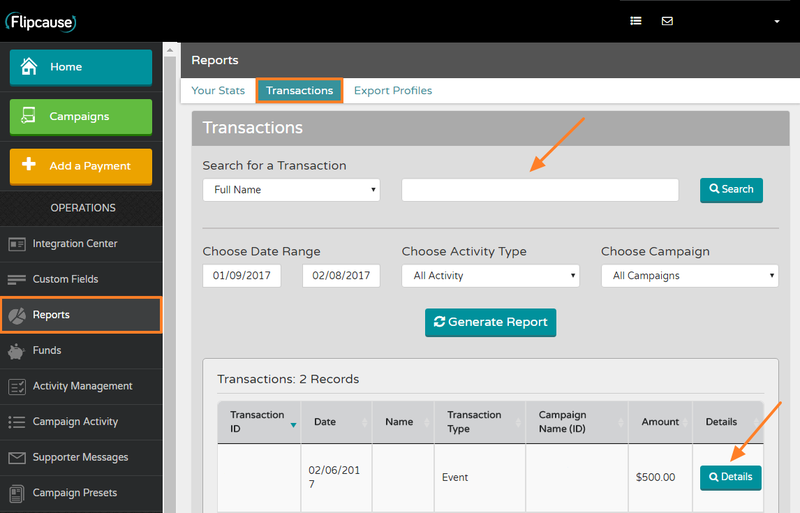 To quickly find the transaction in question, go to Reports > Transactions > Search for name or email > Click Details on the desired entry. This will now open a popup with the transaction details. Next, Click Refund/Cancel > Select desired refund type > Enter refund amount > Click Submit. The funds will now be credited back to your supporter. Note: If a supporter wants their money back and will no longer be attending your event, select Refund and Cancel. If a supporter wants their money back and will still be attending, select Refund and Don't Cancel.